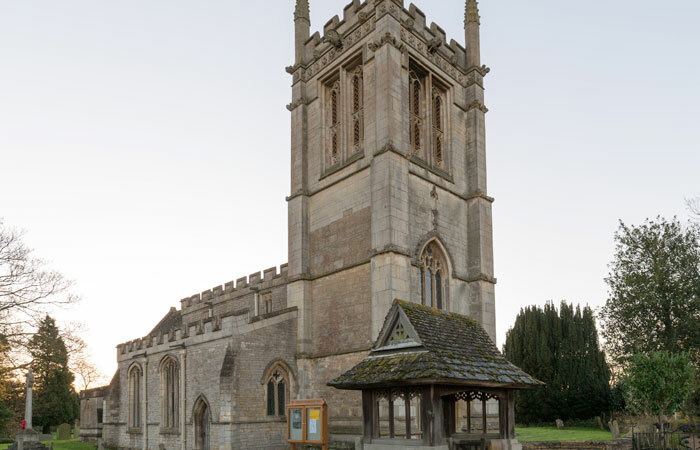 The elegant square tower of All Saints’ lies at the edge of the picturesque village of Aldwincle near the river Nene. Its medieval interior is almost cavernous in feel with few furnishings, offering a rare chance to see its beautiful limestone arcades and arches up close. 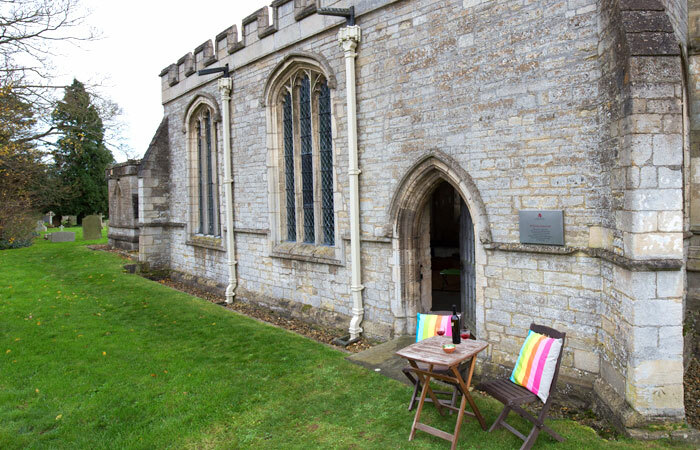 The seventeenth-century poet John Dryden was born nearby and baptised in the church – his grandfather was the rector. Look out for strange carved birds, beasts and other creatures on the exterior. The Chambre chantry chapel of 1489 is also of exceptional quality. For more information on the church and the work of the CCT, click here. 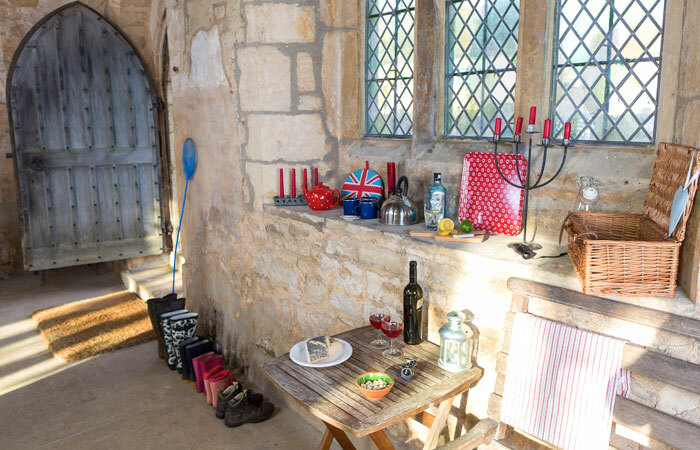 Lyveden New Bield – near Oundle, Northamptonshire, PE8 5AT. Sir Thomas Tresham’s unfinished Elizabethan lodge, left as a shell in 1605. The sight features extensive gardens and interpretation telling the tragic story of the Tresham family (8.9 miles from church). Click here for more information. Rushton Triangular Lodge – Rushton, Kettering, Northamptonshire, NN14 1RP. Sir Thomas Tresham’s strange, enigmatic hunting lodge, built to incorporate Catholic symbols as a protest against the anti-Catholicism of the reign of James I (15.9 miles from church). Click here for more information. Boughton House – Boughton House, Geddington, Kettering NN14 1BJ. Opulent seat of the Dukes of Buccleuch, large parts of this home remained unchanged since the 18th century (9.6 miles from church). Click here for more information. Canoe hire on The River Nene in rural East Northamptonshire, with great safety & paddle briefings and oodles of great advice from knowledgable staff, and all the equipment you’ll need, including paddles, buoyancy aids, watertight containers and portage trolleys. The River Nene is a lovely calm, gentle river, and is perfect for the novice paddler, and wherever required, they include pick-up or drop-off at the start or end of your trip, so you only paddle downstream. Set within lovely countryside and the historic River Nene, a friendly team is ready to hold your hand through the trickiest of challenges. Canoes, kayaks and inflatables are available for hire, while there are a wide range of boats on hand to suit different age groups and all sorts of open water adventures. Rockingham Forest covers more than 200 square miles in North East Northamptonshire and is said to have been the favourite hunting forest of William the Conqueror! A lovely landscape with ancient woodland (some of it has been there since at least 1600 AD! ), parkland, and open grassland. It’s home to Fermyn Wood Country Park, which is also free to visit, has 3 circular trails to follow, an orienteering course, plus its home to loads of wildlife. Look out for birds such as green woodpeckers, red kites, and bullfinch, and wildlife such as newts, dragonflies, Fallow deer, and badgers! Located in the heart of the Nene Valley, close to the historic market town of Oundle, there are 15 hectares of lakes, riverbank and meadows to explore. 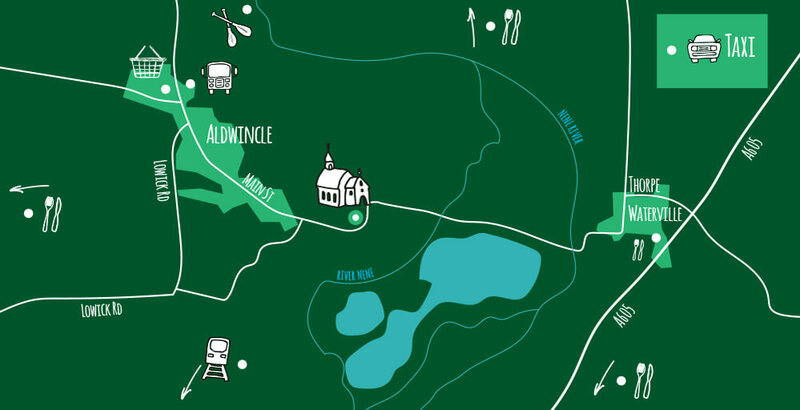 With 3 way marked waterside trails, numerous picnic spots, a wealth of wildlife and facilities, there is something to entertain people of all ages. There are circular, way marked and hard surfaced trails through woodlands and meadows or by rivers and lakes, a brass rubbing trail, and an Orienteering trail to follow, with packs available from the Visitor Centre. You can also get duck food from the centre, which is much better for the ducks on the pond (and the water)! There is a Wildlife garden behind the centre, where you can learn how to help the wildlife in your own garden too. Lovely experience. Warm, cosy & fun! Breathtakingly beautiful church. Loved sleeping here and felt safe. Loved the pretty candles. 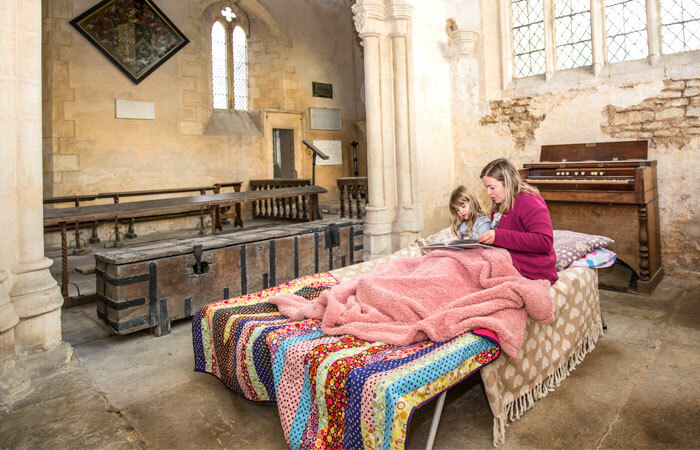 Beautiful church, beautiful area – spoilt for choice with walks and activities! 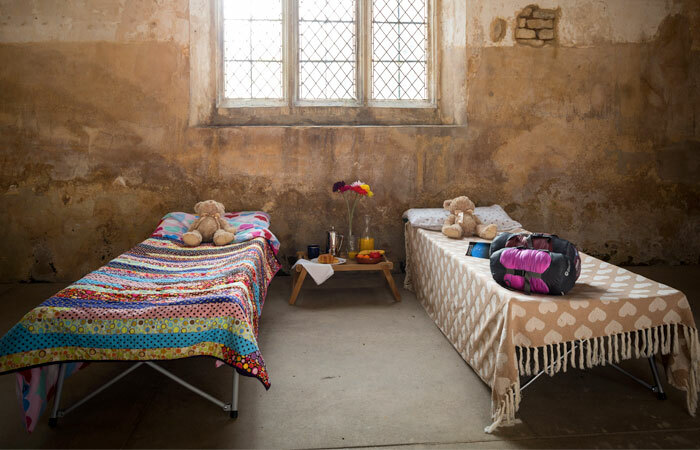 Thanks for the opportunity to stay in such a beautiful place – the children have loved it! A fantastic experience. Breakfast was outstanding too. 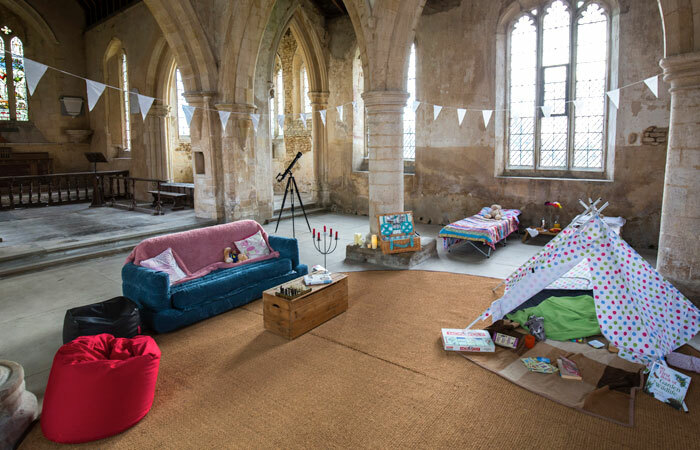 Thank you so much for all the details – home comfort/ candles and of course the children loved playing the organ. Brilliant place to stay, and Chana was great in helping with the booking and getting everything ready. Thank you! This without doubt was one of the most incredible places I’ve ever been lucky enough to stay in. Right from the moment with drove up to see the true size of the building and then to opened up “our own church” with the huge front door key. A beautifully clean space, sparse but with enough care placed into the decoration by the Champing team to make it homely. A wonderful meal at the Snooty Fox (2 miles away) was followed by a delightful evening sat talking over a glass of wine in the sacred space under (battery powered) candle light. A peaceful nights sleep was gently interrupted by a knock on the door from the local farmer bringing us breakfast; a substantial feast of bacon, sausage, egg, tomato and mushroom cob, with hot croissants, yoghurt and fruit. We spent our remaining time exploring every nook and cranny of the wonderful building, reading all the inscriptions engraved and etched into the floors, walls, windows and fittings. A truly marvellous night. We’ve already booked to visit another Champing church.